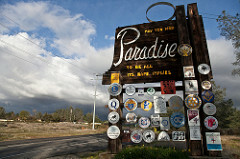 The Paradise Genealogical Society is located in Paradise, California. They were started in 1968 by a dedicated group of volunteers. This Society is unique because it maintains a library that is not subsidized by a church or tax funds and is not housed in a church or tax supported building. The Paradise Genealogical Society library contains a wealth of Butte County historical resources. Those who are interested can purchase any of their society publications. Volunteer staff will gladly do look-ups for surnames that you are researching. Copies of records the staff finds are a $5.00 donation (each). Cemetery – Thirty-five cemeteries and isolated grave sites. Most of the documentation on Butte County cemeteries comes from Grace Collins. She has shared the index to her 12 “Sites & Cemeteries” books with the Society.